Amy Stambach is Director of Global Studies and Professor of Educational Policy Studies and Anthropology at the University of Wisconsin-Madison. 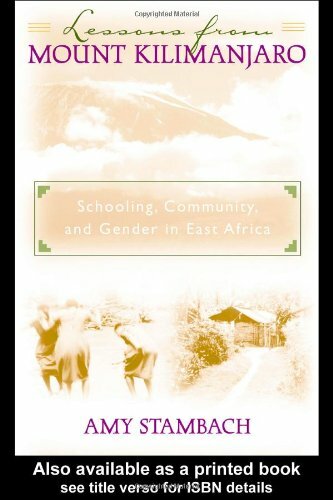 She is the author ofLessons from Mount Kilimanjaro: Schooling, Community, and Gender in East Africa(2000). "what Educated Youth Do These Days "
"should We Drink Banana Beer or Coca-Cola? " "boys, Preserve Your Bullets; Girls, Lock Your Boxes"
"mountains Never Meet but People Do "